Sell your KAMELOT items on eBay ! A True Masterpiece of Power Metal! Phew! Finally . it's time to review. Well, this album falls under Category A, i.e. a music that blew me away first time when I listen to it. In fact I have been spinning this CD more than 16 times already. It's not that I need to get familiar with the music but it's more on "wanting to" listen to it over and over. When the CD arrived at my address last Friday (29 Jun 07) right after I watched an awesome Prog Nite by IPS (Indonesian Progressive Society), I had not listened to any other CDs but this new album by Kamelot. Only last night (July 1, 2007) I inserted other CD in my play list. I don't know why this album has created strong magnet that has tied me for such a long time without any willingness to spin other CD at all. This is amazing! So now, you get the picture on how I truly admire Kamelot "Ghost Opera". I regularly posted my comments about how great this album is through i-Rock! mailing list where I have been an active member since its inception last year. Well, at least I have created curiosity to the mailing list members about how great this brand new album of Kamelot. In fact, I love this band since its "The Fourth Legacy" album onwards. Each album released was excellent! I think the key factor of Kamelot's music in winning my heart and my mind is their wild creativity in infusing great and touchy melody into power metal music. I have not known any Kamelot's song after "The Fourth Legacy" that has weak melody. Well, at least the melody, on average for all songs are excellent. Why this album is a masterpiece? The Composition. I think the main thing that I want to put upfront for this slbum is its solid and coherent composition from opening track until last track plus the bonus track (mine is a limited edition CD with bonus track "The Pendulous Fall". At least, the first time I listened to the CD (it was 2:00 PM in the morning, because I could not wait until the next morning after waking up - so "curious" about the music) my initial comment after spinning entire CD through my laptop was: "Solid!". It might be hard for you to define what "solid" really means, but I am sure you can taste and feel it yourself. My simple definition is that each elements and segments of the music is delivered in really tight arrangement so that it does not allow you to comment "why like this? Why not like that?". It's simple and ain't gonna tell you in scientific definition because I am not able to. You know my principle: "Music is emotion". Hey, the composition of this album does stir my emotion! So, what do I need more from this album? Nothing! Every single composition is a perfect one. Am I exaggerating? Honestly, not at all. You might disgaree with me and be it, I don't mind at all. The Stream of Music. Oh yes, this album provides me with a great stream of music that flows very naturally from opening track which comprises only violin solo "Solitaire" and it blasts off wonderfully with "Rule The World" which has great lyrics. The title track also brings in another power to the music that makes the flow even better! What a surprise that at the fourth track "Human Stain" the band delivers a groovy music that you might have never imagined the band would ever deliver! For sure, you would not be able to say that Kamelot is a power metal music if you only listen to this song only. The first time I listened to this song, it created another nuance. It's brilliant! The music brings to another great track "Blucher" which contains heavy riffs combining bass, guitar and drums. "Love You To Death" is really a dark and great ballad composed with really great opening augmented with beautiful orchestration. My friend, David Dewata, who is now overseas at Ottawa sent me an SMS about how great this track is for accompanying him during his trip. Roy Khan is now singing with female voice and the melody and lyrics are really touchy. All other songs are great. Even the bonus track is really great. Another friend of mine, Dimensi, commented at my blog that the music of Kamelot is now becoming "predictable". Well, I interpret the term "predictable" differently. As far as my ears, my heart, and my mind concern .. the music of Kamelot since "The Fourth Legacy" album has been "predictably" great! The composition has become matured in a way. Matured Musicians. One thing very peculiar about Kamelot is the fact that each musician is nothing dominating one to another. There is no such song that explores long solo of particular instrument (usually guitar and keyboard). Each member seems to contribute evenly to the music. There is no song that demonstrates technical skills of the player. Even though the music is delivered in a comprehensive way without demonstrating certain instrument, but I can see that Casey Grillo's drumming is top notch! Roy Khan voice has become much more deep and thick and he mostly sing in low to medium register notes. This is unusual for power metal band, but Kamelot has proven that power metal does not necessarily mean a music full of screams and distortion!. All songs delivered in this album has particularly less (or no) distortion at all. All riffs are delivered in its cleanest form. The Miro and Sascha Paeth Factor. For those of you have not been familiar with power metal, you might not know these two gentlemen. These duo have produced many power metal bands including Kamelot and Rhapsody and they have always been excellent albums whenever these two gentlemen were involved. Miro has contributed for orchestration of this album. And this new album by Kamelot is the one with the most intense orchestration compared to any previous album. The orchestration is so dynamic and it enriches the composition especially in providing maneuvers at transition pieces where Miro has put string arrangements. It's a great orchestration work! Any shortcoming(s) from this album? NOPE! Everything sounds terrific to my ears, my mind and my heart. I have now been listening to this album for its 18th spin! Everything is so perfect and I have no further expectation at all! I'm facing the wall of great satisfaction! BRAVO KAMELOT! KAMELOT RULES THE WORLD! Peace! for those who love Kamelot! Long live Kamelot! Who will trade his karma for my kingdom? All in all an undeniably fine follow-up to the monstrous "Black Halo", but "Ghost Opera" treads very familiar ground, and the album offers us very few new ideas. Kamelot's trademark elements are all present in almost overflowing amounts, making the frequent sound of violins and savage riffing almost stale, not to mention the fact that the lyrics are very, very similar to the band's previous two releases (enough with Helena already!). That being said, "Ghost Opera" has some very attractive melodies and instrumental moments, and the songwriting features a few moments blending the group's metal/balladry in new and more cohesive sounding ways. A fine purchase for fans how will more than likely still appreciate Kamelot's sound, but I look forward to new ideas the next time around. I pretty much agree with Kazansky review of this album. Something is really missing here. For the first time in 12 years Kamelot seems to be without the strong sense of direction they always had. Not that this album is bad: it is not. In fact, in a few aspects they even exceed themselves (what looked almost impossible after their two previous releases). The production is more sophisticated than ever. The instrumentation unbelievebily tight and the band (now back to a quintet with the inclusion as a full member of Oliver Palotai on keyboards), is definitly bigger than the sum of its parts. And Roy Khan is one of the most distinctive and original singers around. So, what´s the problem? I´ll answer that with another question: where to go after a steady rising that led to a string of masterpieces of prog metal like Karma, Epica and The Black Halo? Well, I guess after so many years of forward momentum, some kind of leveling off would have to take place. The band seems uncertain for the next step and it shows on the album. Instead of goind on, they went back: short songs and not a lot to sday anymore. It seemed they just ran out of ideas after the Epica/Black Halo concept. What is a pity, since when they find a theme they can handle the story very well. Going back to 4 minute songs and without a strong theme Kamelot can not address the fantastic talents the band obviously have. Ghost Opera is pleasant, it has some nice songs. Still, songwriting wise, this is nowhere near to what they have done since Khan joined them . I hope they find their muse again and take a more challeging project again next time. Rating: 3 stars. Good, but not essential in any way. First of all the cover art is very cool with the girl playing violin. It looks like she's screaming as fire and smoke come off her bow.The music isn't quite as dynamic as past albums, maybe it's just more mature I don't know. I like it a lot though.This is a very melodic release that seems to be getting away from the Power-Metal genre a little. KAMELOT and SYMPHONY X are my two favourite Power-Metal bands by the way. "Solitaire" is a brief violin led intro track that blends into "Rule The World". I like when the heaviness takes over for the violin right away. Vocals 30 seconds in. Blistering guitar solo 2 1/2 minutes in as the drummer impresses. The synths come and go. Great track. "Ghost Opera" has that Power-Metal sound as the drums stampede all over the soundscape. Vocals come in with female vocal melodies from Amanda Sommerville from the band AINA. She is also singing on a couple of other songs. Some ripping guitar before 3 minutes. "The Human Stain" opens with some excellent bass as drums pound away. It lightens quickly though as piano and vocals come in. Khan is such a great singer. EPICA's Simone Simons sings in the background. The heaviness returns after 2 1/2 minutes joined by a grinding guitar solo. "Blucher" opens with some samples before crisp drumming and guitar come in. Vocals and synths follow. Processed vocals come and go. Nice guitar solo 3 minutes in. "Love You to Death" features spoken words from Khan then from Amanda. Some violin and light drums. It kicks in after 1 1/2 minutes with passionate vocals and heaviness. Love the guitar solo before 3 1/2 minutes. The guitar on the outro is so tasteful. "Up Through The Ashes" sounds great ! Nice and heavy with some orchestral sounds. Vocals come in with attitude. A nice heavy bass / drum section follows. Blistering guitar 2 1/2 minutes in. This is heavy duty at times. "Mourning Star" is pastoral to begin with then male choirs come in singing in Latin. Some violin before the heaviness arrives before a minute. Vocals are eventually joined by Amanda. Guitar solo after 3 minutes. "Silence Of The Darkness" has a haunting intro which is overwhelmed by a stampede of drums. Vocals follow as riffs come in. The stampede is back 3 minutes in. "Anthem" opens with piano as strings come in. This is so beautiful and uplifting. Fragile vocals come in. Emotional vocals 2 1/2 minutes in. This is very moving. "Eden Echo" brings back the thunder. Punishing drums as vocals come in. A good heavy sound to this one. A calm 2 1/2 minutes in. Riffs before 3 minutes followed by a blistering guitar solo. "Pendulous Fall" is a bonus track that just kills. One of the best songs on the album. A heavy bass / drum intro with female vocal melodies. Khan then comes in. Female vocal melodies come and go. A calm 2 1/2 minutes is destroyed by a guitar assault. Khan is back after the solo. Great tune. I think this is worth 4 stars but I can understand why some are disappointed with it. Bombastic, anthemic, pompous, symphonic, operatic, chorale, heavy, metallic, melodic, powerful. If these are the sort of words you look for when investigating new music, then I have just the album for you. Kamelot's latest release at time of writing has all of these in absolute truck loads. The intense power of the album prevails throughout, but is balanced by some of the strongest melodies the band have ever come up with. Take "The human strain" for example, a song which catches the ear straight away. It is mid-paced, devoid of the double paced drumming which characterised much of the band's earlier work. Likewise, the following "Blucher" has an epic arrangement with a fine guitar break and complex vocal structures all combining to create something quite stunning. In the period between the release of "The black halo" and this album, keyboard player Oliver Palotai was adopted as a full member of the band, demonstrating Kamelot's commitment to developing the depth of their sound. While Palotai's main role is to strengthen the overall sound, he does occasionally step into the spotlight with solos such as that on "Silence of the darkness". The prog metal sounds of bands such as Symphony X and Rhapsody are still very much in evidence, but the counterbalance of a slightly softer style with greater emphasis on the strength of the song writing sets this album apart from its peers in that genre. We even have a quite remarkable prog metal ballad in "Love you to death", the swirling strings being reminiscent of Led Zeppelin's "Kashmir". It is perhaps the orchestrations which define this album in the Kamelot catalogue. This is of course not the first time they have enhanced their sound in this way, but here those orchestrations become an integral part of each song, rather than an afterthought. "Up through the ashes" has some wonderful operatic vocal embellishments, which will particularly appeal to those who enjoy the music of bands such as Therion. The most beautiful song of all here has to be "Anthem", a lavishly orchestrated burst of pure emotion. There are no epic tracks on the album, the longest is a mere 5 minutes. The songs however blend together to form a continuous whole, thus creating a compelling atmosphere throughout. In all, this for me is Kamelot's best album to date. Given the quality of their previous releases that is no mean achievement. If I was being pedantic, I would still have liked to see one epic number included, especially given the relatively short total running time. This is though, an album which flows as a continuous piece from start to finish. Highly recommended. The Japanese version of the album has a bonus track "Season's end". This is NOT a cover of the Marillion song of that name, but an original Kamelot number. The song is a mid-paced power ballad with an anthemic chorus. As mentioned before... this album has nothing that has to be mentioned. Only the song Ghost Opera could be seen as an offering for progressive rock. The other songs are standerd powermetalsongs. The productions is the worst Kamelot had for a long time, the music just does not live. I realy don't understand what people do like on this album. I'd call it bad recycling. As I feared after the Black Halo; Kamelot had become to populair. Now more succes is in sight concesions were made with this new record. As a powermetalalbum it is mediocre, as a progressive rock offering this is for fans and completionists. I like The Black Halo, Epica and Karma far better then this album; for it totally lacks progression. Two stars. I can't really comment on Kamelot's discography, on their heyday or higher quality of releases before this one. All I can say is that Ghost Opera, as far as a singular progressive metal release goes, is not very inspiring. The band has a unique sound that I've been led to believe really works better on other releases. Here we have a slightly metal, slightly melodic meld of power metal and pop rock. If anything, to abuse a terribly popular cliche way of thinking these days, Kamelot is almost post-power metal. The music is mostly pretty slow paced, pretty static, and pretty interesting. Don't get me wrong--this is a fine album. But as a progressive metal release, it really is missing a lot of things. Vocally, the band is particularly strong. Khan has a unique, operatic voice that works well with the sound and concept here. The only problem is that on Ghost Opera he plays around mostly with just his standard full voice, in the same patterns and with similar melodies. We don't get to hear this guy with a well-developed voice ever unleash here. The rest of the band, however, ranges from average to lackluster. The guitars play their power chords, the bass mimics the guitars, the drums play stock beats with a few moments of fast double bass pedals, and the keyboards are downright invisible most of the time. Some strings are thrown throughout to middling effect. The problem with the music on the whole, though, is that most of it really ends up sounding exactly the same. Solitaire opens the album beautifully with a violin, segueing quite nicely into the semi-rocker Rule the World. If this is your first experience with Kamelot, you'll probably be pretty impressed, as I was. The album even begins to improve with the energetic title track, which is a slight sonic variation on the previous track. This trend continues in terms of similarity, but the energy level never again reaches the height of the title track. The Human Stain starts out promising, but ends up doing the same thing as the rest of the tracks. There are a few ballad sorts of tunes here, but the melodies are similar and similarly constructed to everything else. Love You to Death, Blucher, and maybe another track feature some nice female vocals, but they aren't enough to give this album the color and depth that it needs to rate well on this site. By the end, you've just experienced barely any variation, albeit from a good song format. It makes for a fun listen once in a while, but it's nothing particularly intriguing. Based on everything I understand, this works well for fans of the band, but it is not a great place to dive into their music. Two stars because it would rank average on an overall music site, but on a prog one, Ghost Opera has very little to offer at all. |D-| Kamelot's worst effort since Roy Khan joined the band. 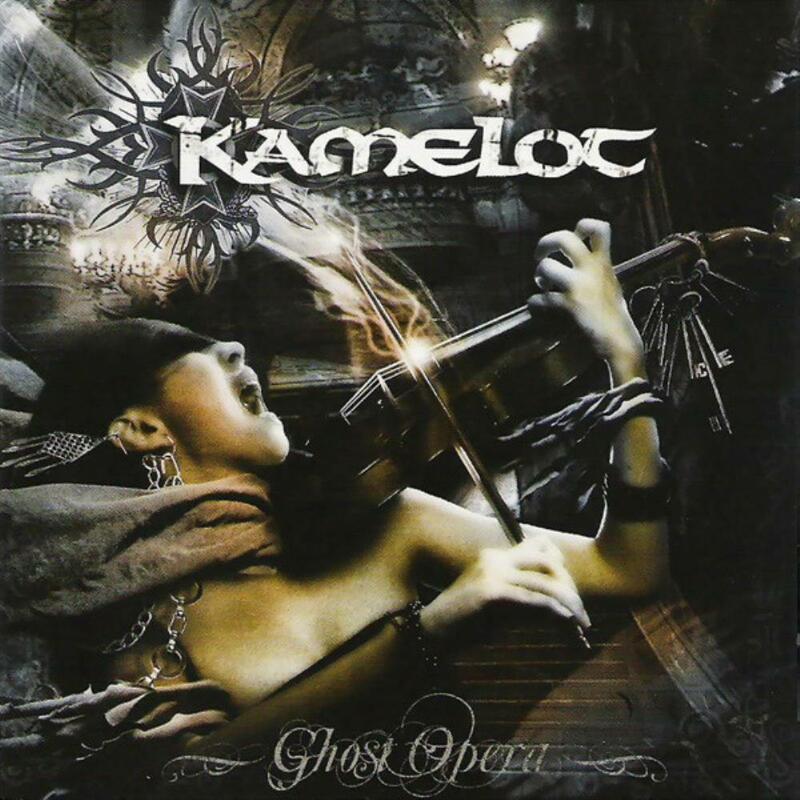 I am among the one-fourth or so of Kamelot fans who found Kamelot's album from 2007 Ghost Opera a very disappointing follow up to The Black Halo, at best. I love this band, and tried to love this album, but failed. Yes it's hard to follow up such a work of art as The Black Halo was, but I expected something at least better than this when I first went to play what was then the new Kamelot album that I had just bought. At first I thought, oh, this'll just take some time to grow on me. I've listened to it seven or eight times since, and every single time I felt equally, if not even more, disappointed as I got to know the album. I even had some friends tell me it grew on them so they liked it a lot after a few listens, but for me this wasn't the case at all. It really pains me that I should give an album by one of my favorite metal bands an overall negative review, but it is what it is. There are various shortcomings I think I can at least attempt to pinpoint on why this was such a disappointment. First off, the production sounds mucky to these ears. The added string parts just seem to clutter everything up instead of enhancing the emotional quality of the music as they had done in previous albums, as if they had written the song and threw in some strings just for good measure. I could be very wrong on this, but that's what I think I'm hearing. It also seems like the band felt like they needed to progress the music somewhere, but were very unsure as to what they would do to make it different, so they forced it to be by actually subtracting some of their progressive elements, such as the instrumental and solo sections, the diverse song format, ect. Even something about the vocal lines seem everything short of memorable, which was usually what saved a Kamelot song from being less than mediocre in their earlier material. The album as a whole just sounds very uninspired, like the band knew the fans demanded another album, so they forged one just to keep their momentum going. I would have rather they waited longer and released a quality album, as Symphony X had done upon the release of Paradise Lost, five years or so after The Odyssey. Sometimes I wonder if I disliked this album because I was so amazed by The Black Halo and set my expectations too high, but when I think of the album by itself, making no comparisons, it still falls in the below average category. The musicianship and potential is clearly there, but the composition and production, in this fan's opinion, isn't. On the positive side, there are a few tracks that, while still mediocre, have some enjoyable quality. I'm referring mainly to the first three tracks, especially Ghost Opera. They are well written, even though they follow the simplistic layout of the rest of the album's tracks, and Khan's brilliant vocals sore as they always have. These are what save the album from being a one star, and just typing that sort of hurts inside since I adore the three albums before it. So, as the rating indicates, I would in fact only recommend this to die hard Kamelot fans, for many of them find this release comparable to The Black Halo and a logical next step from that album. As for me, it sits on my shelf collecting dust, for any time I listen to it and try to figure out what's to like about it, I just come out sad that I couldn't. Ghost Opera continues the line of decent power metal that Kamelot delivered on the preceding Black Halo. The opener Solitaire / Rule the World is great again, this is as wonderful as this band gets. Catchy, warm, charming and staying clear of bombastic excesses that plague this style. Ghost Opera and The Human Stain continue the momentum. A notable difference with the preceding album would be the variation in the song material, something that is always appreciated on this side of prog land. The songs offer plenty of instrumentation, tempo and melodic styles. Also a simple pop tune like Blucher stands out because of its symphonic arrangement. Love You To Death, Up Through the Ashes and Silence of The Darkness are more standard Kamelot fare but entirely enjoyable at that. Anthem brings some melodramatic relief. Eden Echo doesn't bring much new on the table but the bonus Pendulous Fall is a nice moody bonus. The album offers little you haven't heard from Kamelot before, but because of the excellent vocals and consistency of the material, this is an excellent album in its field and 4 stars are sure appropriate. Yet another magnificent piece from Kamelot, this album is. Solitaire and Rule the World make a spectacular intro: powerful, catchy, progressive, all the things I love! Ghost Opera comes in and emerges into a powerful attack of violin and guitar. The Human Stain comes in heavy, keeps heavy, and leaves heavy. Blucher , one of the best songs on the album, comes in with a symphonic intro and leaves with some nice melodies left behind. Love You to Death lacks any pure metal sound, but the slower tempo and softer melody allows you and the music to breathe, despite the lyrics about love......... which isn't always the best in progressive music. Up Through the Ashes comes in strong as a steady attack of bass, symphony, and guitar. Mourning Star begins slowly and then progresses into a more epic body. Silence in the Darkness is a nice steady attack but seems like its more poppy than the rest of the album. Anthem is a slow song that, I think, too abruptly slows the album down. Endenecho is a nice finisher, with that steady attack that Kamelot is known for, and also nice symphonic melodies. 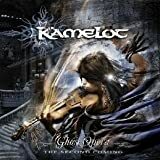 Post a review of KAMELOT "Ghost Opera"